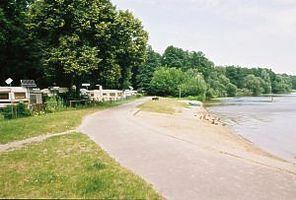 We provide two scenic camping sites - Breitehorn and Bürgerablage - for tents and caravans directly on the banks of river Havel in Berlin-Spandau. 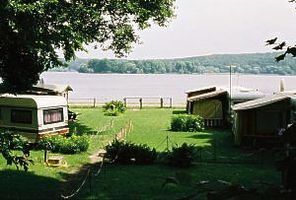 A bathing beach is in easy reach of each camping site. 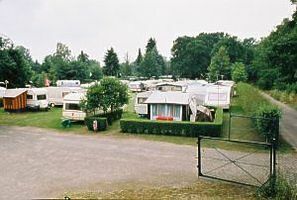 The pitches are on grass and/or partially under trees. 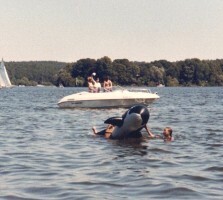 They are both situated in a natural environment and are subject to nature conservation and drinking-water protection regulations (q. v. Site Rules). Therefore we only have basic facilities. Toilets for handicapped persons are only available on the site Bürgerablage. Gas supply is available. 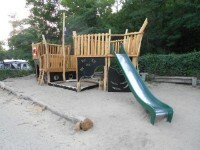 Playgrounds are on each camping sites. Grilling is allowed. You should use the public car park in front of each site. Reservation is advisable; please call +49 (0)30 3653408 for Breitehorn. You receive a reservation confirmation by telephone or on request by fax. We do not charge any reservation and cancellation fees. 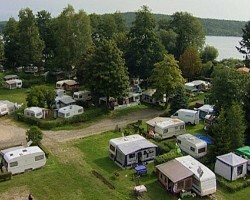 What about a steam passage from Wansee to Potsdam, a 2h-round-trip? Then you must take the foot passenger ferry (run by the BVG) from Kladow to Wansee first. 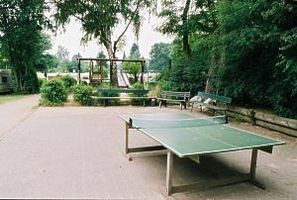 The shopping centre Spandau Arcaden is directly at the railway/underground station Spandau It also has a spa and a bowling centre with 16 alleys. Vis-à-vis the shopping centre is the beautiful Old Town of Spandau. 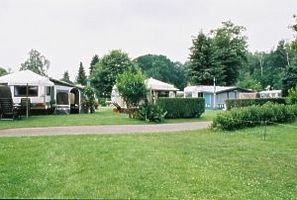 The camping site Breitehorn is located in the south of Spandau, the area is called Gatow. Follow the motorway A10 (Berliner Ring) in western direction and take the exit no. 26 Berlin-Spandau. Stay on this road which is called B5/Hamburger Chaussee and later Heerstraße. At the intersection Heerstraße/Gatower Straße turn right into Gatower Straße which passes into Alt-Gatow and then Kladower Damm. Turn right into Breitehornweg and follow the sign-posts pointing to "Camping" and the restaurant "Seeblick"
Public transportation services (BVG): Take the bus X34 starting from the railway station Zoologischer Garten or the bus 134 from S+U Rathaus Spandau and get off at the stop Breitehornweg. The X34 only runs during the day. There are night busses available. more restaurants are quickly reached by car or on foot, for e. g. in Kladow three kilometres away. 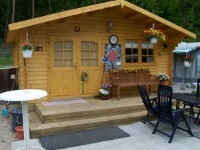 In Kladow you also find shops for your daily supplies, snack bars, cash dispenser and a post office. Fon: +49 (0)30 / 7824095.